Around the nation, that chatter you hear is the buzz about drones (or the more official term – small unmanned aerial systems – sUAS). Duke Energy is grabbing its share of buzz. It’s one of the few utilities testing drones and looking to make them part of the company’s way of operating. 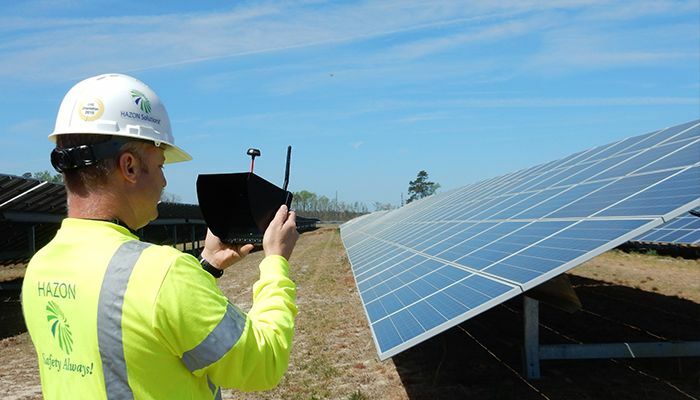 Aleksander Vukojevic, Duke Energy’s technology development manager, said drones could help in three areas: safety, operational performance and cost. 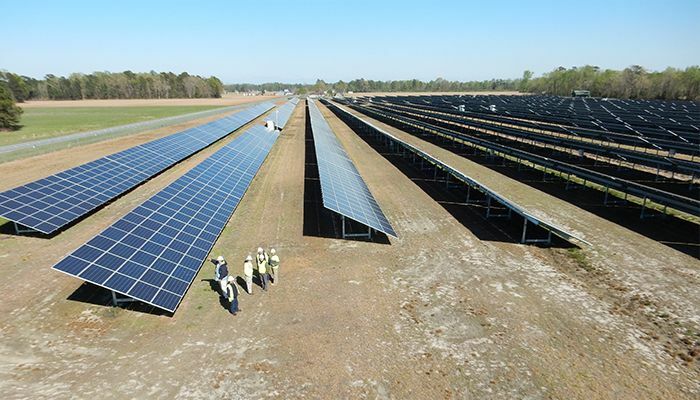 Drones could help inspect large solar facilities like this one in Bath, N.C.
Large boilers at power plants. Drones are inspecting areas that are hard to reach. It’s faster, less expensive and safer than an employee trying to duplicate the same work. At solar farms. An infrared camera mounted on a drone could spot panels that are not operating correctly. Currently, employees do inspections by walking through the solar farm. Faster repairs mean more renewable energy. Restoration work after major storms. Drones could quickly identify damage in hard-hit areas – allowing the company to muster equipment quickly and restore power sooner to customers. During testing, trained operators put drones through their paces. The Electric Power Research Institute has studied drones for three years and Dominion and Southern Company have used drones for transmission line inspections. Despite the positive outlook for drones in the energy industry, there is some negative buzz going around. Throughout the nation, drones owned by individuals have been blamed for numerous power outages. Typically, the drones have accidently flown into a power line. 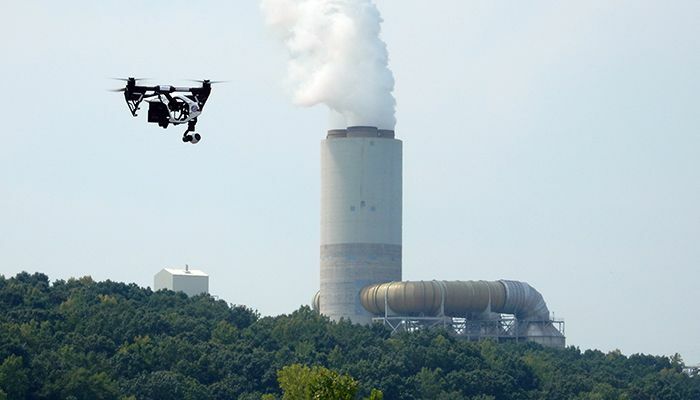 Early drone testing by Duke Energy was done at its Marshall Steam Station in Terrell, N.C.
And although mischief gets plenty of media buzz, Vukojevic said the public probably won’t come in contact with Duke Energy drones, which are used on company property and power line rights of way. Duke Energy did extensive drone testing in 2015 at the Marshall Steam Station in North Carolina. Check out the Charlotte Observer’s coverage.